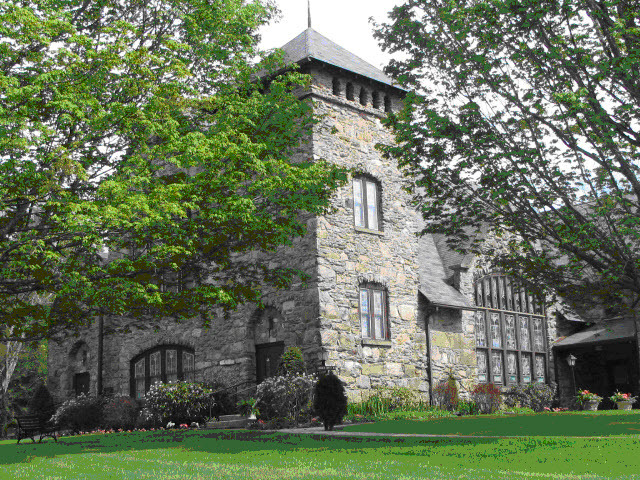 The Session of Banner Elk Presbyterian Church has produced this document to assist you in the process of planning and arranging a funeral or memorial service. It is our hope that in your time of loss, this document would prove informative and helpful. We ask that you look over it when you receive it and then file it away so that it will be in your hands when needed. If you have any questions, please feel free to contact one of the elders or the pastor. As Christians, the resurrection is a central doctrine in our faith and it shapes our attitudes and responses to the event of death. Death brings loss, sorrow, and grief to all. In the face of death, Christians affirm with both tears and joy the hope of the gospel. Christians do not bear bereavement in isolation, but are sustained by the power of the Holy Spirit and the community of faith. It is our desire to offer a ministry of love, compassion, and comfort to all who grieve. WHAT IS A FUNERAL/MEMORIAL SERVICE? Our understanding of the significance of a funeral or memorial service in Presbyterian worship derives from the Christian view of death. We believe that God in Jesus Christ has conquered death, through our Lord’s resurrection. We believe that at death the believer enters into the presence of God, with whom we abide eternally. These convictions are not grounded in our worth but in the graciousness of God. Therefore, as Christians, we commend those who believe in Him to life everlasting with our God and Savior. In a Christian church, it is understood that the funeral or memorial service is to be conducted as an act of worship. While the service may be comforting for the grieving and may meet a variety of social needs, its nature should be determined by the same considerations that govern other services of worship. The Word of God should be central. With the reading of appropriate passages, the minister may apply the message of the Word for comfort, hope, and healing. Prayer also is an important element. With prayer, we praise God for His goodness of the gift of life, in general, and for the life of the deceased, in particular. We thank God for resurrection victory and the confidence of everlasting life, and we pray for the comfort and the care of all who are present, according to their needs. Because it is difficult to plan wisely under emotional stress, we want to offer assistance if you wish to discuss plans and preferences ahead of time. 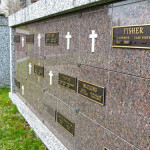 Some of these decisions may include the Christian options of burial or cremation, internment of the remains, an order of service, and participants in this service. The service ordinarily should be held in the usual place of worship in order to join this service to the community’s continuing life and witness to the resurrection. The service shall be under the direction of the pastor. Others may be invited to participate as leaders in the service at the discretion of the pastor. The Session has created a document entitled “INSTRUCTIONS FOR MY LOVED ONES AND PASTOR”. The purpose of this document is to assist those people who are in a position of authority regarding your wishes for funeral or memorial service arrangements. You may want to indicate your own wishes and share important information about your life and family in the event of your death. We would encourage you to complete this entire form, or those parts that you choose. The pastor is willing to meet with you to discuss any questions you may have about the plan. Please retain a copy of this document with your important papers and also make a copy and give it the pastor. Put in a sealed envelope with your name on the outside. It will then be placed in a confidential file to be opened only on the occasion of your death. By completing this document, you will be assisting those who will be sharing in your life’s witness. Taking the opportunity to complete this enables others to know your wishes at a time when decisions must be made quickly. To assure that attention in the service is directed to God, when a casket is present in the sanctuary, it should be closed no later than thirty minutes prior to the start of the service. If requested, available for use at our church is a white Funeral Pall for the casket. Flowers and other forms of memorials and decorations may be placed in the sanctuary so long as they do not draw undue attention to themselves or detract from the Christian understanding of death and resurrection. It is the policy of Banner Elk Presbyterian Church that all money received, as memorials, will be directed into the General Fund. A family may designate memorials to a specific project already in existence, or to a new project that has received Session approval. 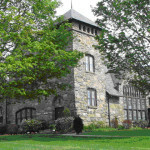 One of the ministries that the Banner Elk Presbyterian Church community provides at the time of loss is food for the family. As the pastor plans the Service with you following a death, the pastor will include a question regarding the need for family food, or light refreshments to share following the funeral or memorial service. The pastor will contact the Congregational Care Committee who will then make the food arrangements. If the family wishes to provide a meal at the reception following the service, the family will have the meal catered and the Congregational Care Committee will set up, serve, and clean up afterward. 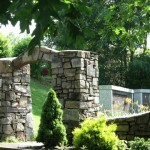 There are no fees associated with the use of the church for funerals or memorial services. An honorarium may be offered to the church, the pastor, and/or to the organist. 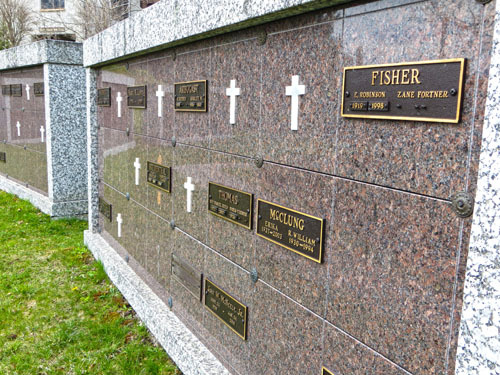 A columbarium is a place for the respectful storage of cinerary urns (i.e. urns holding a deceased’s cremated remains). 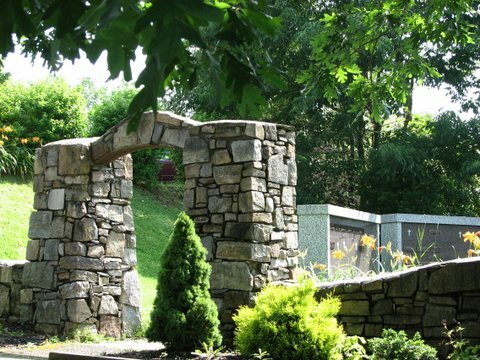 The Dwelling Place is a Columbarium and Memorial Garden designed to provide a final resting place for the remains of members and friends who wish to be remembered as a part of The Banner Elk Presbyterian Church community of faith. Arrangements to use this area can be made through the church office.